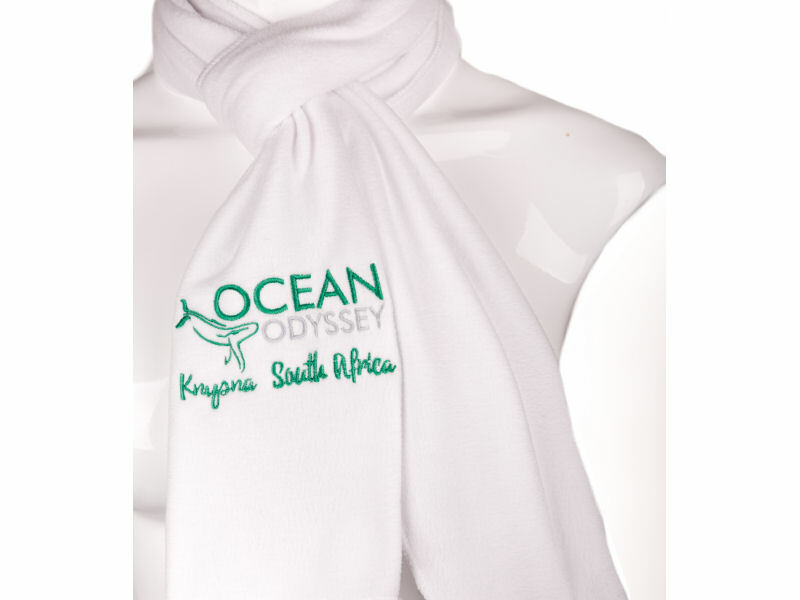 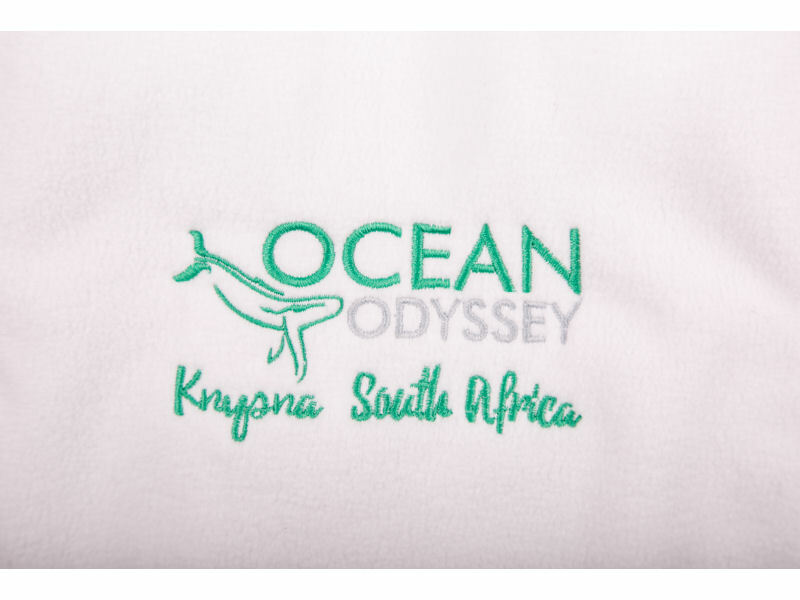 Micro polar fleece scarf in white or grey with Ocean Odyssey logo embroided including “Knysna South Africa”. 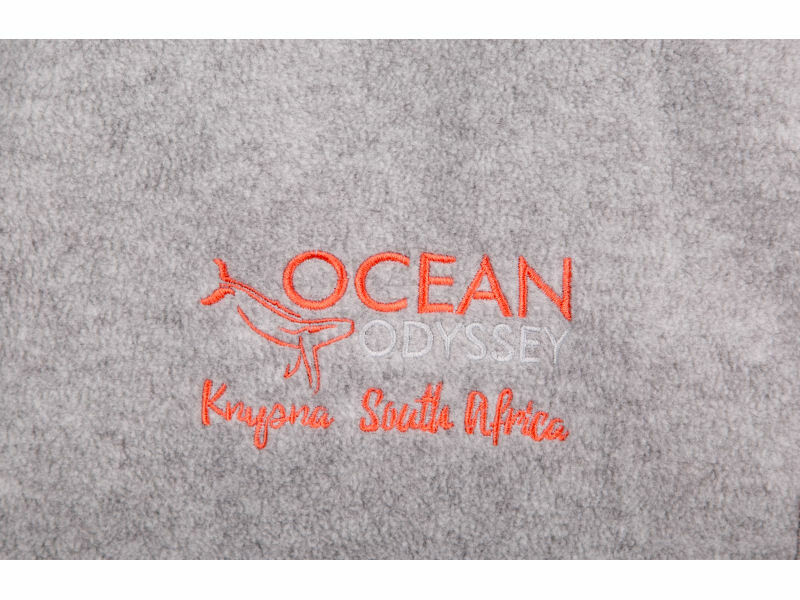 White scarf – mint and grey embroidery. 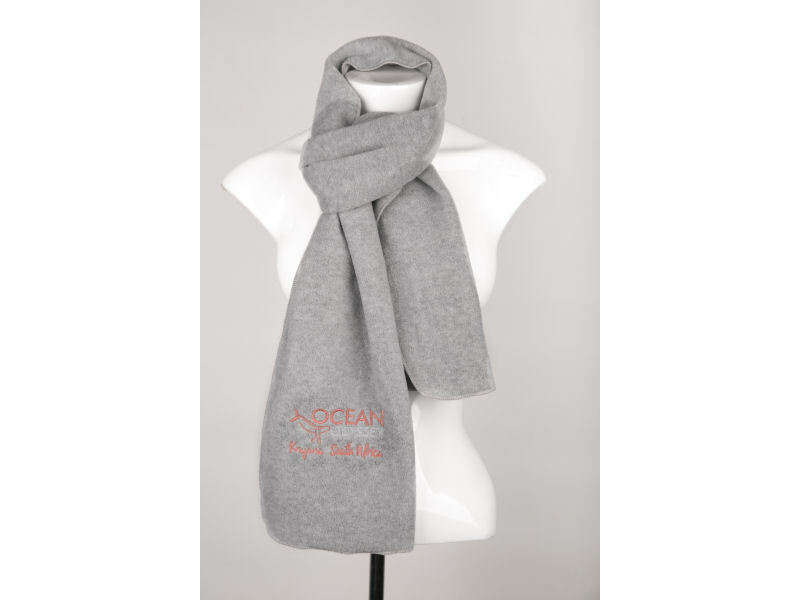 Grey scarf – coral and white embroidery.